"Since according to our present conceptions the elementary particles of matter are also, in their essence, nothing else than condensations of the electromagnetic field"
The electromagnetic field is a state of aether. Matter is condensations of aether. "If a body gives off the energy L in the form of radiation, its mass diminishes by L/c2." The mass of the body does diminish. However, the matter which no longer exists as part of the body has not vanished; it still exists, as aether. Matter evaporates into aether. As matter evaporates into aether it expands into neighboring places; which is energy. Mass is conserved. The original reason for the Luminoferous Aether was to act as a medium for light waves, at a time when everybody thought light was just a wave, but did not know it was also a particle. Now that we know that light is also a particle (photon), it doesn't require a medium to move through, since particles can be their own medium. What you're calling an Aether is just called a "Field" now. So a Higgs Field is not a general Aether, it is only an Aether for its own field. The Photon Aether would have to be its own Aether (i.e. 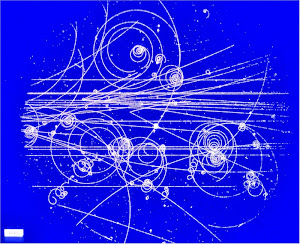 Field), completely separate from a Higgs Aether. The idea of a static Luminoferous Aether is gone, and what you're advocating is not the same thing as that old Aether. Discovering that light has particle properties did reduce the fact that it is also a wave, and that our very best theories of light require a medium. You are right that the term "aether" has fallen out of favor, but the concept remains valid. It's fallen out of favour because it really isn't the same thing. Think about classic waves, let's say water waves, the medium of water waves is water. What's waving? Water molecules. The wave is moving through water, but the particles of water aren't really moving along with the wave. The water molecules move up and down sure, but they don't really get carried along with the wave toward the other side much, they stay in their relative positions. 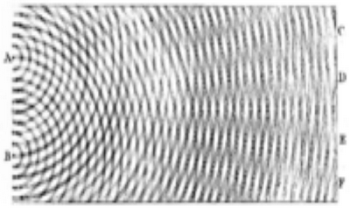 Aether was envisioned in the same way as water waves, a medium that stays relatively put, while waves travel through it. But due to wave/particle duality, we now know that the medium is moving along with the wave, so it's not the same thing as the Aether where the waves move but the particles stay put. Agree with Roger: all the talk about a "field" being not the same thing as "aether" begs the question: why is there a field ?? there's got to be something out there which produces the "field".
" But due to wave/particle duality, we now know that the medium is moving along with the wave "
Light waves are also transverse, just like those water waves you describe. The aether is not just the photon that travels longitudinally with the light beam. It is the electromagnetic fields/particles that are necessary for light propagation. See quantum electrodynamics for details. But what you just described is just called a field now. And what you just described is by no means anything like the original luminoferous aether. Why introduce a newly defined term "aether" that's likely to be confused with the old "aether", when the word "field" already exists? "Light waves are also transverse, just like those water waves you describe"
Actually, water waves are longitudinal, not transverse. This is because water has no structure, and is therefore free to SWIRL. Perhaps the modern "aether" (or "field") has some kind of STRUCTURE, which prevents it from swirling ?? Maxwell used the terms "aether" and "field". He described the aether as being vast, homogeneous, and isotropic. His electric and magnetic fields were not. I realize that some people do not like the term "aether", but it matches modern physics better than the term "field" for what pervades empty space. Which term do you think Maxwell would like better? He would probably invent a new term to account for the fact that, in the modern theory of "aether", it has a structure, and therefore cannot swirl. It's not a matter of whether modern physics "likes" the word "Aether" or not, it's simply a matter of whether it fits the definition. In the 19th century they needed a medium that carried both the known forces of nature at the time, gravity & electromagnetism, so they envisioned the Aether to carry both forces. The properties of light & gravity that they expected to find did not materialize, so the Aether model was dropped. These days, the fields describe totally different forces that can't be described by one Aether model, not yet anyway. As for Maxwell, he lived at a time before they knew about wave-particle duality, so he didn't know what we know now. So it's not relevant what term he would have used back then. However, even his equations didn't need to refer to the Aether, all it needed was the field. PLUS: keep in mind that Maxwell did not know that atoms are mostly empty space, because the atomic nucleus was not discovered until 1911. If he had, then he MIGHT have considered an "aether" which occupies the empty space within an atom. Yes, the properties of light, gravity, and aether did not turn out exactly as expected 150 years ago. I don't think that Maxwell ever said t hat the aether has to carry light and gravity, but no one has ever shown that to be wrong anyway. I see that somebody has deleted all of my comments re this complex and important issue, namely, the existence or non-existence of "aether". This is a typical thing for narrow-minded individuals to do: i.e., to automatically refuse to consider the possibility that there might be an explanation which does not fit into the commonly-accepted ideas of the present time. Well, I'll give you some time to consider this, and then post some more comments. Perhaps you will approve these future comments from me. Your comments were not deleted. I am just slow to approve comments on old posts.